There's an emotional core to Unravel that's difficult to overstate, and it's hard to ignore how strong a character the little red spool of textiles manages to become despite not speaking at all. Unravel wants to say something, and I admire it for that. But it can be hard to shine a light on the bigger-picture things Unravel does well when it gets so many basic things fundamentally tangled up. Unravel took me on a surprisingly thoughtful and reflective journey, which encouraged me to appreciate the small and the insignificant with every step. 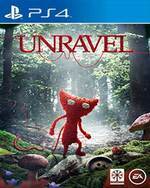 As a puzzler it has charm due to Yarny’s engaging skills, but as a platforming experience it’s less remarkable. It’s an experience that was quite intense for this particular reviewer. It is a wondrously constructed game born of love and culminating as an incredibly, beautifully bittersweet, emotional adventure. Filled with heart from its opening to the cessation of the credits, it will wow you, make you smile and make you cry. Gamer or not, you need to play Unravel. Unravel is a solid (if flawed) puzzle platformer wrapped up in beautiful visuals and emotional moments. It's like a Christmas sweater. It's not perfect, but you're compelled to love it just the same. From the moment that little ball of red yarn tumbled down the old woman’s steps to the last bit of yarn that I strung from place to place in the old woman’s memories, I enjoyed almost every step, swing, and catapult. The emotive little Yarny had me feeling for him as I traversed the dangerous terrain with his ever unraveling figure. Though the gameplay falls victim to ebbs and flows of being too frustrating at times and too easy at others, it was still an overall enjoyable experience. Unravel’s appeal goes far beyond pretty levels. 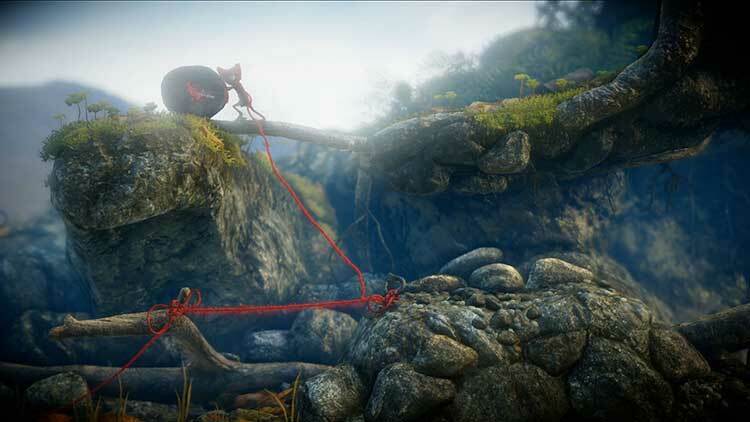 Beautiful, poignant and with an iron grip on your heart, Yarny manages to effortlessly deliver a wonderful platformer and a bittersweet message. It’s not hard to tell that I loved this game through and through. When reviewing a game you have to look at the sum of all its parts added up and in this case, Unravel doesn’t miss a step. A wonder to play, a joy to experience, a feast for the senses and a heartfelt story told by a team of passionate developers. I can promise you that you’ve spent 20 bucks in worse places than this and you’d be missing out on one of 2016’s greatest games if you passed this one up. Such musical highs and lows are ideal for this storybook adventure; the tale of a doll brought to life who restores the faded memories of his owner. Unravel’s wonderful sights and sounds won’t escape your own memory so soon. But assessed purely on gameplay, it’s everything I tend to fear about indie projects; Beautiful, heartfelt, but like Yarny himself, not robust enough. 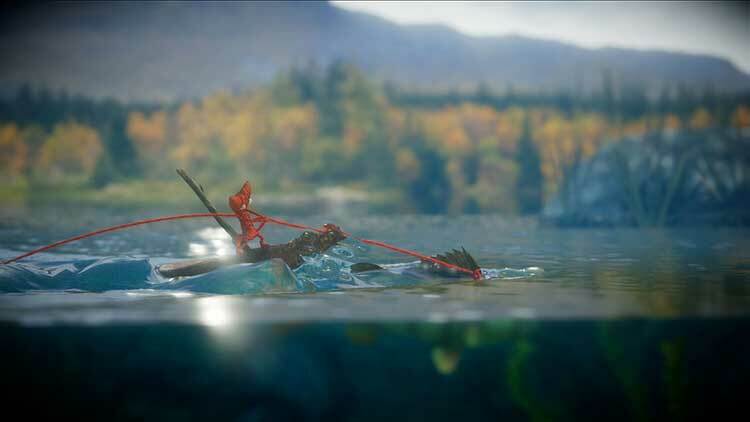 This generation has seen a glut of puzzle platformers grace the PlayStation 4, but fortunately for those interested, Unravel is absolutely one that deserves attention. While it feels like more could have been done with its mechanics, the game's charming and has a great lead character. It's also sublimely presented. Unravel, quite frankly, comes off as too amateurish to capitalize on its own potential. 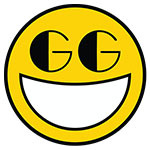 The ridiculous tutorial, unpredictable physics, and obfuscating visual design are rookie mistakes, while the primitive puzzles that make up the majority of obstacles could be thrown together by any hobbyist game designer dicking around with basic tools. The atmosphere is so compelling that I couldn’t help but feel like a piece of my own story was wrapped up in the game with the rest of the photo album. It’s rare but a special thing when a game manages to impart a story that touches strings deep in the heart, and Unravel manages to meet and exceed this feat. It might be tempting to write off Unravel as another indie-made platformer, but you’d be denying yourself a surprisingly deep puzzler with an unmeasurable amount of charm. There might not be much replay value, but you’ll be glad you took the time to see it to the end. Unravel's strengths lie more in its heart-warming story than offering compelling gameplay. 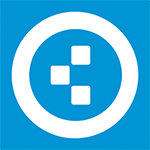 Even though there are some thought-provoking puzzles, they’re few and far between. There’s no doubt Yarny is quite the adorable little mascot who has good intentions, but a video game can’t succeed on good intentions alone. Even beyond the artistic, the game functions well on a technical level, delivering both great graphics and fantastic music, while also hitting on some great gameplay. Trial and error deaths get in the way, and some puzzles might frustrate, but overall Unravel is a triumphant experience from start to finish. If you’re looking for gameplay that could be called anything better than unobjectionable (or you simply aren’t a fan of platforming), you may be better off somewhere else. Yet, even if you fall with the latter, Sahlin and Coldwood Interactive’s persona which permeates the title is hard not to support. Ultimately, Unravel presents itself as an unspoken story of lost love and a yearning for the past. Protagonist Yarnie is instantly loveable and is possibly one of the most likeable videogame characters in recent memory. The game shines through its stunning visuals, heartfelt soundtrack and unique platforming elements creating a truly unforgettable experience. It's lucky the game has as much heart as it does, because it is somehow still a rewarding and interesting experience in spite of these rather significant shortcomings. 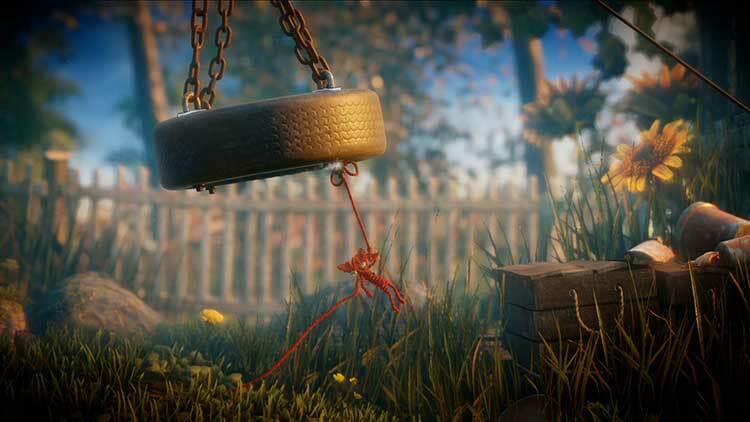 A better experience than a game, Unravel is still worth a look. Unravel is an adorable game with a charming soundtrack and some gorgeous background environments. There’s still a sense of satisfaction each time you solve a puzzle and Yarny’s animations are enough to warm your heart. It’s just a shame that the game’s myriad frustrating moments ensure this warm heart is accompanied by heat under the collar. Unravel isn’t just about sleepy backdrops peppered with a drowsy haze of particles though. In fact, its most powerful moments are when Yarny comes face to face with the many small animals ensconced within their natural habitats. With smart gameplay, gorgeous graphics, and a brilliant story to tell, it looks as though Unravel could be ColdWood’s first breakout hit and a deserving one at that. Although Unravel may not be the most unique game that will be released this year, here and now it's one of the finest experiences you buy. 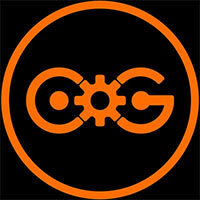 Coldwood Interactive has, despite its name, created something that warms the heart as much as it entertains. Unravel is a gorgeous, tender, heartwarming experience. Endearing to the last thanks to a well-designed world and achingly sweet protagonist. Despite being short and too forgiving on occasion, Unravel is still a praiseworthy effort. Yarny's adventure is similar to stepping back in time to one's own childhood, when the world was still new and everything that lay within it wondrous and terrifying. Beneath its beautiful visuals and soundtrack is a first-rate platformer with innovative mechanics and solid level design. No es largo, no es altamente rejugable y tiene sus defectos… pero como experiencia es algo único, uno de esos títulos que van más allá, con un mensaje interior que habla en términos de diversión, de fantasía, de naturaleza… pero sobre todo de amor a esta forma de entretenimiento que son los videojuegos. Unravel no sólo es un eye candy, cumple sus objetivos como videojuego con interesantes retos de plataformas basados en su personaje que se desenreda y el uso de sus hilos. Con una gran presentación, hermosos paisajes, historia sensible y ambientes reflexivos, es un verdadero placer que muchos deben disfrutar. Muy recomendable. Unravel es un plataformas 2D muy bonito, que transmite emociones y te hace sentir como el diminuto personaje en medio de un mundo repleto de detalles y de nostalgia. A nivel audiovisual está pensado para ofrecer al jugador un recorrido entrañable que da gusto ver y escuchar. Por eso, Unravel ha sido una de las primeras y agradables sorpresas del año. Un título que no descuida ni forma ni fondo, y que sabrá gustar tanto a los que buscan un plataformas 2D como a aquellos que busquen mensajes más profundos. Un juego que, como las grandes obras de Pixar, sabe mantener esos dos niveles de lectura para que cualquiera pueda encontrar en él lo que busca. Unravel no es un juego perfecto y ni siquiera demasiado original o sorprendente, pero sí es uno hecho con mimo y que destila magia, de esos que por desgracia no abundan a lo largo de un año. 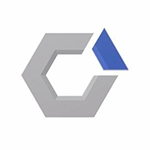 Además cuenta con un acabado técnico sorprendentemente bueno para el tamaño del proyecto del que se trata, y su propuesta jugable, una entretenida aventura de puzles y plataformas, funciona muy bien, en un género demasiado trillado y en el que es muy difícil sorprender. 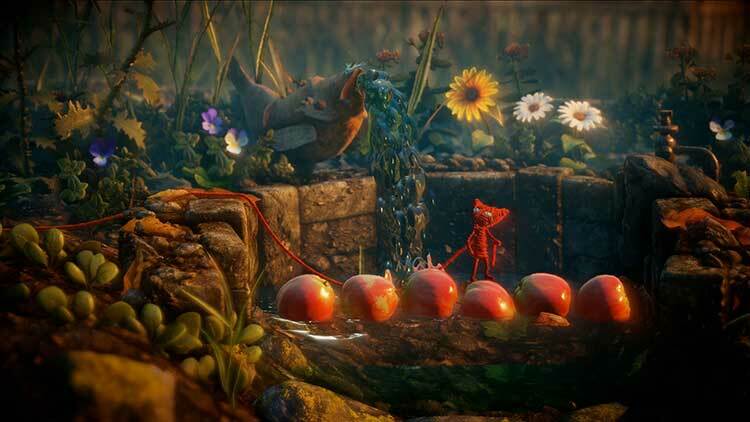 Trotz des roten Fadens ist das Gameplay von Unravel nicht außergewöhnlich und kann mit den frustigen Trial and Error-Stellen hier und da sogar richtig nerven. Das ist aber nur ein ganz kleiner Teil des Erlebnisses. Denn das Jump&Run; funktioniert in seiner Mechanik grundlegend sehr gut und bietet viel Abwechslung. Artistiquement et techniquement, le titre s'avère également maîtrisé de bout en bout et nous offre même en guise de cocarde sur le tricot une jolie trame de fond empreinte d'émotion. Le résultat est sans appel : on s'amuse, on s'émerveille, on tire des ficelles, le tout au doux son de mélodies qui nous font clairement penser que c'est un grand jeu, cet Unravel. Malgré tout ce qu’on a pu lui reprocher ici, Unravel n’est absolument pas mauvais, mais n’en devient pas pour autant un grand jeu. A la manière de certaines productions à gros budget, il se cantonne à un gameplay simpliste, des thématiques traitées en surface et n’essaie jamais de prendre le moindre risque, préférant se cacher derrière son esthétique, certes incroyable, et sa bande son mélodramatique en espérant donner le change. On s'attendait à une vraie pépite digne des plus grands de la scène indé, mais Unravel n'est juste qu'un bon jeu ; une performance qui mérite quand même d'être saluée pour une nouvelle licence. Derrière la fracture rétinienne à laquelle on s'attendait depuis des mois, se cachent quelques défauts que l'enthousiasme débordant pour le titre de Coldwood Interactive avait masqués jusqu'à présent. 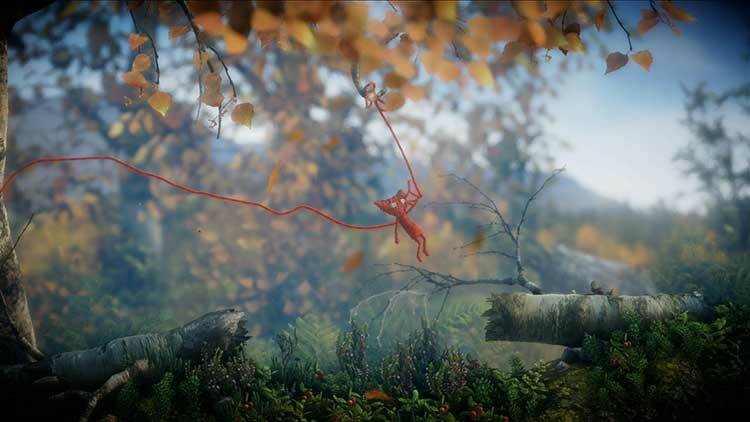 Avec Unravel, Coldwood offre à Electronic Arts un Limbo bien plus coloré, mais moins tortueux. Plus tendre, mais résolument moins culte aussi. Saisissant de beauté graphique, agréable à prendre en main, cette aventure sensible pêche par un relatif manque de profondeur et de renouvellement. Reste un périple délicieusement rafraîchissant, par moment inventif et touchant. Un très bon jeu à qui il manque un zeste d'étoffe pour devenir intemporel. Unravel levou-me por uma jornada de reflexão, encorajando-me a apreciar o pequeno e o insignificante a cada passo. Como um jogo de puzzles, tem o charme das habilidades de Yarny, como jogo de plataformas, é menos conseguido. Apesar disso, julgá-lo exclusivamente por estes aspetos mecânicos seria um erro, e ignoraria o seu ponto forte, que é a forma como provoca emoções, subtis e complexas, através da utilização da natureza e da nostalgia. Sotto questo punto di vista siamo infatti di fronte a uno dei giochi più riusciti degli ultimi mesi, grazie ad una perfetta caratterizzazione del protagonista e alla meravigliosa riproduzione della straordinaria quotidianità della natura e dei paesaggi scandinavi, raccontati nella loro diversità e trasformati dall'alternarsi delle stagioni. Il gioco di esordio di Coldwood è, in sostanza, un titolo di ottima qualità che merita di essere giocato. Le ottime idee messe in campo dagli sviluppatori hanno l’unico difetto di svelarsi un po’ troppo rapidamente, costringendoci a ripetere le stesse meccaniche troppe volte nella seconda metà del gioco. Unravel, però, è anche uno di quei giochi la cui ambientazione vi entrerà nel cuore dopo pochi istanti, e che non dimenticherete per molto tempo. Per questa ragione, il gioco è consigliato davvero a tutti. Говоря об Unravel, постоянно хочется употреблять слово "очаровательная". И игра ведь действительно чарует: любовно воссозданными пейзажами, обаятельным главным героем, медитативностью, теплотой. Пожалуй, из нее мог бы получиться отличный игровой аналог Mushishi. Но в итоге замечательное начинание испортило отсутствие толкового наполнения. Sonuç olarak Unravel hem dünyası hem de işleyişiyle son zamanlarda oynayacağınız en iyi platform oyunlarından birisi. Oyun, bir solukta bitirmek yerine ara ara oynandığında çok daha keyifli bir deneyim sunuyor. Aksadığı yönler var elbette ama oyunu bitirdiğinizde damağınızda güzel bir tat bırakacağından emin olabilirsiniz. Unravel is als platformer prima in orde. Soms had de game iets uitdagender mogen zijn en je gebruikt vaker dezelfde trucjes, maar dankzij de prachtige omgevingen en het bijna filosofische avontuur dat je samen met Yarny meemaakt, is het een prachtige ervaring geworden die ik niet snel zal vergeten. Bedankt, mijn kleine wollen vriend. Prostota platformówek połączona z radosnym rekonesansem, manipulacją otoczeniem i refleksyjnymi przekazami - jak dla mnie świetna propozycja na chwileczkę zapomnienia. Niektórzy będą mogli kręcić nosem na czas rozgrywki czy poziom trudności - mi jednak Unravel przypadł mocno do gustu i cieszy mnie fakt, że mogę go zarekomendować. Jag kan inte låta bli att dra paralleller till denna spelupplevelse som jag spenderade med mina barn och som vi kommer minnas tillbaka till under en lång tid. För man måste inte alltid ut i naturen för att uppleva något magiskt, känslostarkt och berörande. Ibland kan man få det genom spelens värld, något som Unravel är ett utmärkt exempel på.